Adelphia Greens Howell, condos for sale. Would you like to look at other Howell condos? 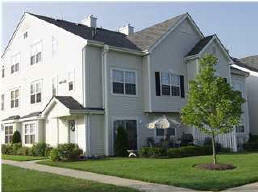 Call 732-598-7700 to see the condo in Adelphia Greens Howell For Sale. Adelphia Greens Howell was built between 2000 and 2003. It is situated on the Howell / Freehold border, and just east of Route 9 at Route 524. Adelphia Greens Howell is partly in both towns, however, most of the homes are in Howell. Commuters will love living here, for example, these homes are within an easy walk to the bus service on Route 9 for both local and commuter buses to New York. Please show me the homes available in Adelphia Greens in Freehold. The community has 304 homes, of which 208 are in Howell and 96 in Freehold Township. All homes are 3 level townhouses and come with two bedrooms and 2.5 baths. Of those, the Howell condos have lofts. However, the homes in Freehold have basements. There are three models of condo in Adelphia Greens Howell. In Howell, the largest model is the Adams which has 1901 square feet*. In addition the Bradford and the Clark have 1854 square feet*. 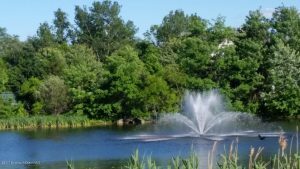 The monthly maintenance fees in Adelphia Greens Howell include exterior maintenance of the building, lawn care and snow removal in addition to common area maintenance. Further, you will find that there are tennis courts, basketball courts, a playground and a jogging path. Similarly, there are numerous parks nearby. In addition, your pets are welcome in this community. These homes in Adelphia Greens Howell are FHA Financing approved, as a result, you can purchase those homes with a low down payment. This expires at the end of 2019. School age children in grades kindergarten through eighth from Adelphia Greens Howell will attend the Howell school system. When students enter high school they will attend the Freehold Regional High School District. There are six high schools in the district. Each of the schools offers a different set of specialized courses. As a result, students interested in attending the schools to take the special courses can apply through a competitive application process. In addition, students can also go to one of the five schools in the Monmouth County Vocational School District. Also, there are numerous private schools in the area, therefore parents have many choices for educating their children.